A Journey Worth Learning ! These Simple Little things are amazing ! You can hang them almost anywhere! I love my cute little Dry Erase Board which is on my fridge. I use it to write out my cleaning plan, to do list or my husband and I leave cute little love notes or reminders to each other. 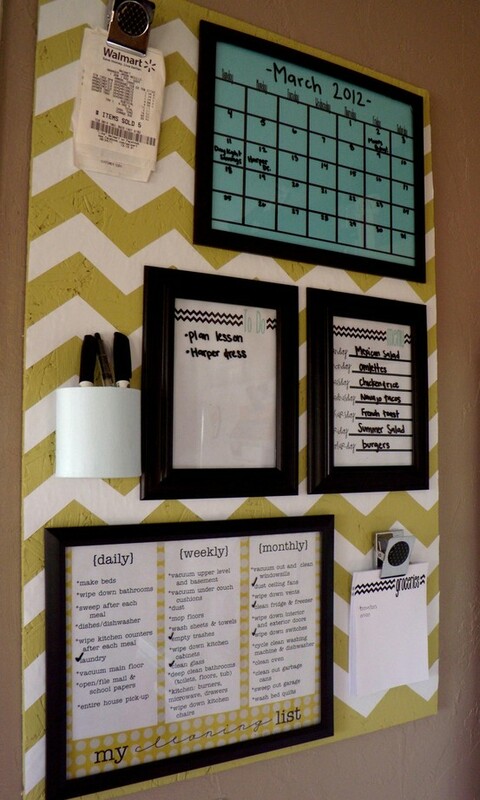 I bought mine at Bureau Engros on sale for 1.50$, but you can also find them at the dollar store, Walmart almost any department store, or if you are the DIY kind of girl here is an awesome way to save money be creative and get a personalized dry erase board to your liking under 5$. My Next Project & Inspiration for my New Dry Erase Board Planning !!!! I did this simple but delicious side dish for Easter. It was my First Easter dinner that I was hosting since getting married in October. I wanted something quick and easy as well as healthy and yummy I wanted a side dish that had it all LOL :p. We did it buffet style so this fit in perfect. I found the recipe off of Kraft Canada. It's Time for a Monthly Give Away!